The mouth is also the anatomical source of snoring, teeth grinding, pain, fatigue, and sleep apnea. 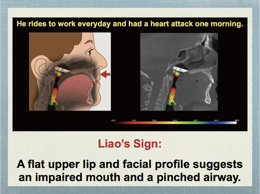 Holistic Mouth Solutions is a book series by Dr. Felix Liao connecting the mouth with mind-body-dental health. Find out how to mitigate the loss of vision, memory, teeth, and more, while you sleep. 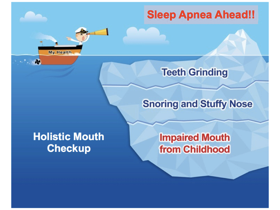 A holistic mouth is structurally fit to support deep sleep and whole body health. 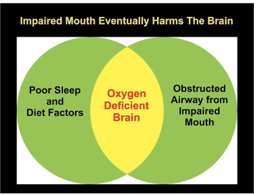 An impaired mouth can eat and talk, but its poor form leads to poor function and poorer health. Holistic Mouth Score is a self-survey on whether your mouth is a health asset, or liability. Symptoms resulting from sleeping with a choked airway inside an impaired mouth. Additional resources, such as Whole Health Solutions. 1. What causes snoring, teeth grinding, chronic fatigue, persistent pain, and/or frequent colds and recurring sinus problems? A surprising answer and an overlooked source. 2. Why do you feel tired on waking up? 3. Why do I feel sleepy during the day? 4. Cosmetic dentistry fixes the effect of crowded teeth, but does it treat the cause? 5. 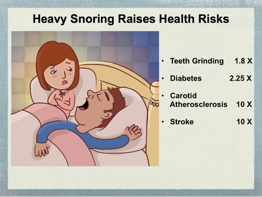 Snoring is an early siren of health troubles ahead, so is teeth grinding. Know why. 6. All mouths are not created equal — check out your Holistic Mouth Score. 7. Poor form means poorer function and lesser health. Got crowded teeth and bad bite? 8. Can you use a few lessons on how to eat right for better health? 9. Proper dental-facial development in children requires these 5 prerequisites. 10, How’d you like to become a better architect of your own health? Lessons available. 11. Want to trade-in your tired old body for a new one, or a health makeover? Start here. 12. You can take off your high heels or pinchy glasses when you get home, but you can’t remove this source of snoring and teeth grinding when you go to sleep — until now. 13. Sleep your way out of health troubles — it’s possible in some cases. We would love to hear from you! Please fill out this form and we will sign you up to receive the newsletter. There is no obligation and you can cancel at anytime. Why not join us and subscribe today? If you would like to make an appointment, sign up for one of Dr. Liao's lecturers or have a general inquiry, please fill out this form and we will get in touch with you shortly.